I had only been in Monterey a few hours when a rare, exotic car went zipping by -- it was a Ferrari 458. I was disappointed. I had already seen at least two other 458s that afternoon. This is the weird world of Monterey during "Pebble Beach Car Week." Cars that would ordinarily cause double takes are numbingly ordinary. DeTomaso Panteras, rarely seen in most places, are as common as Toyota Corollas. A line of Lamborghini Espadas goes roaring past. A Porsche 918 Spyder draws up next you at a stoplight. Just up ahead is a Shelby Daytona Coupe. And that's just on the streets and in the parking lots. 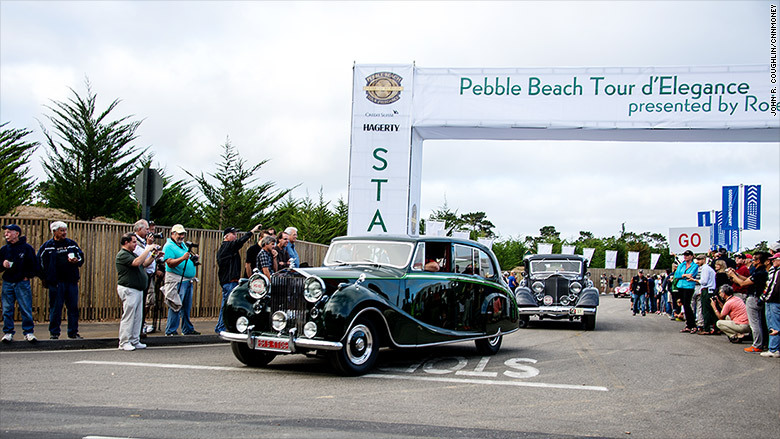 The main event is the famous Pebble Beach Concours d'Elegance, generally regarded as the world's most prestigious classic car show. It draws the world's top-tier car collectors, people who, clearly, have a love of automobiles and vaults of cash to spend. That, in turn, brings out people who want to sell cars you and I can't afford. 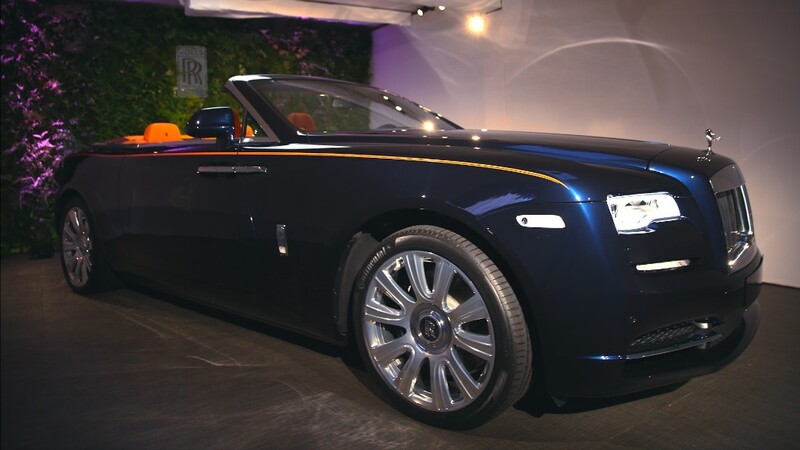 High-end car auction companies like RM Sotheby's, Gooding & Co. and Bonhams host events with hammer prices that reach well into eight figures. Other auction houses, such as Mecum and Russo & Steele, also sell here, although mostly at prices more within reach of the merely well off. But this crowd isn't only interested in old cars. They might like a new Ferrari, Rolls-Royce, McLaren or Bentley. 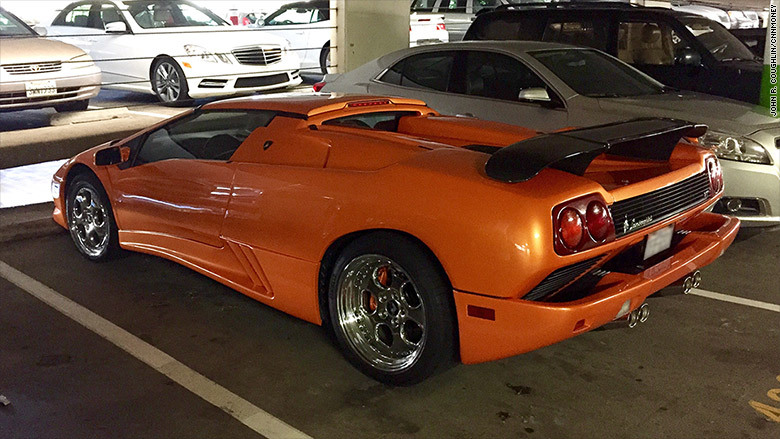 Yes, that's a Lamborghini Diablo Roadster in a parking garage. No biggie in Pebble Beach in the run-up to the Concours. Ferrari decorated a house -- just off the famous 17-mile Drive -- to look like the old home of Enzo Ferrari himself. Parked outside were Ferrari's latest models for test drives alongside some of the brand's most valuable classics. Bentley, Rolls-Royce and others offered closed-door viewings of future models the rest of the world wouldn't see for weeks. Less exotic cars are represented, too. Luxury brands Cadillac, Mercedes-Benz, Porsche, BMW and Infiniti were on hand, offering test drives during the day and cocktails at night. 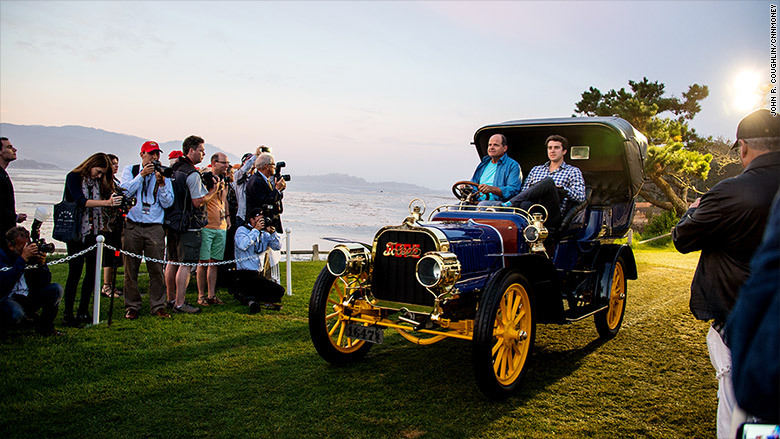 But the main event remains the Pebble Concours d'Elegance, the world's most prestigious collector car show on Sunday. Things really get started with McCall's Motorworks Revival on Wednesday night, a party in a hangar packed with cars and airplanes. Tickets cost hundreds of dollars but, there's still a miles-long traffic jam to get there. Those who can't get tickets stand outside with cameras to take pictures of cars. To complete the Tour d'Elegance cars must complete a long, hilly drive. Not all make it. Then there's the Tour d'Elegance on Thursday. It's a long drive out to the sea and back featuring dozens of the most interesting and beautiful automobiles ever made. Many are makes you may never have heard of. DuPonts and Pope-Toledos drive bumper to bumper with Delahayes, Voisins and Hispano-Suizas. Following along are flat-bed tow trucks to pick up the inevitable casualties. The Quail, a smaller car show, takes place on Friday. It brings together an amazing selection of cars and displays set up by luxury and exotic carmakers such as Bugatti and Lamborghini. Then, on Sunday, is the big show -- the Concours d'Elegance itself. It's a contest with a variety of awards given out to the best-restored cars in a various of classes. This year, a 1924 Isotta Fraschini took Best in Show. At "Dawn Patrol," cars roll out onto the Concours lawn in the early light. Pope-Toledo was one of the featured brands this year. Collectors will insist that it's all about fun and camaraderie. But there is some financial benefit. 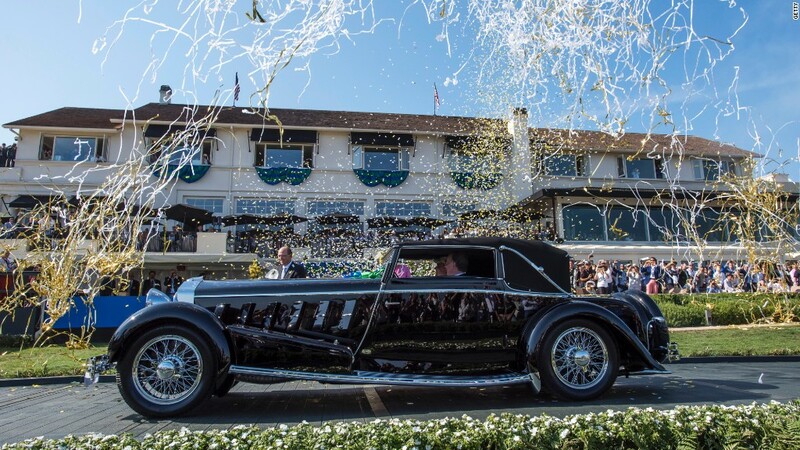 Just being invited to appear at the Pebble Beach Concours adds significant value to a car. Winning an award, particularly Best in Show, means a huge boost in a car's worth. Few here will discuss that part openly, though. Serious car collectors rarely get into this for the money. It is, they insist, all about the love for the machine.